Μετά την γρήγορη έκδοση του Scirocco, η γερμανική αυτοκινητοβιομηχανία έδωσε στη δημοσιότητα εικόνες και στοιχεία για δύο ακόμη εκδόσεις concept των GTI και Polo για το Wörthersee ’09. Με το κόκκινο της φωτιάς να κοσμεί το αμάξωμα και τις 19άρες μαύρες ζάντες να δένουν αρμονικά το σύνολο, το νέο GTI δείχνει από τη πρώτη ματιά τις επιθετικές του διαθέσεις. Το νέο polo μοιάζει αρκετά στο νέο του μεγάλο αδερφάκι με τις ζάντες του να είναι 18 ιντσών, αλλά το ίδιο επιθετικό look που προδίδουν τα μαύρα stripes κατά μήκος του αυτοκινήτου. Τόσο το εσωτερικό τους που είναι ντυμένο με δέρμα και αρκετά αξεσουάρ όσο και το εξωτερικό με τις νέες εξατμίσεις, δίνουν στα concept αυτά τον αέρα ενός σύγχρονου εκθεσιακού μοντέλου και αναμένουμε με ανυπομονησία να τα δούμε στην επόμενη έκθεση! Σίγουρα αξίζει να δεις τις φωτογραφίες και το δελτίο τύπου που ακολουθούν. 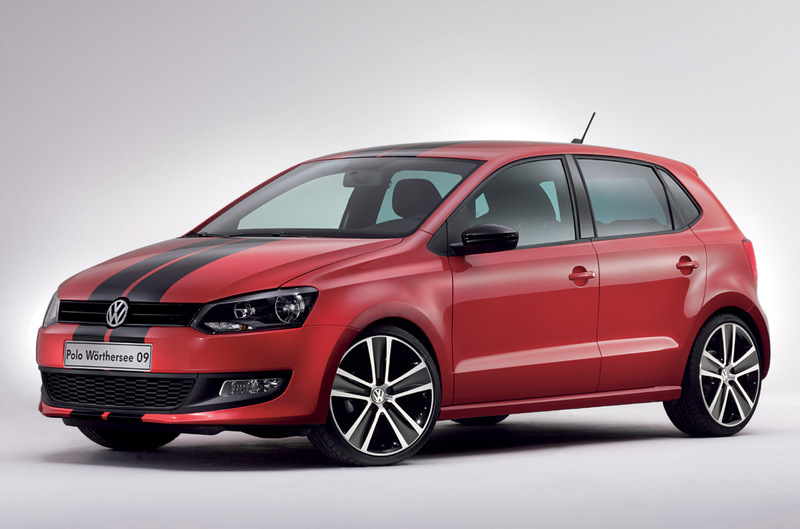 20 May 2009 – The Golf GTI and the new Polo are Volkswagen highlights this spring. Both are launching right now, and both are successors to absolute bestsellers. Both are prime examples of affordable automotive dreams. The GTI for sure, because it is the icon among compact sports cars. And the Polo, because it is small but not meager. That is why these cars have what is possibly the biggest active fan club in the world. Once a year they meet at Wörthersee. 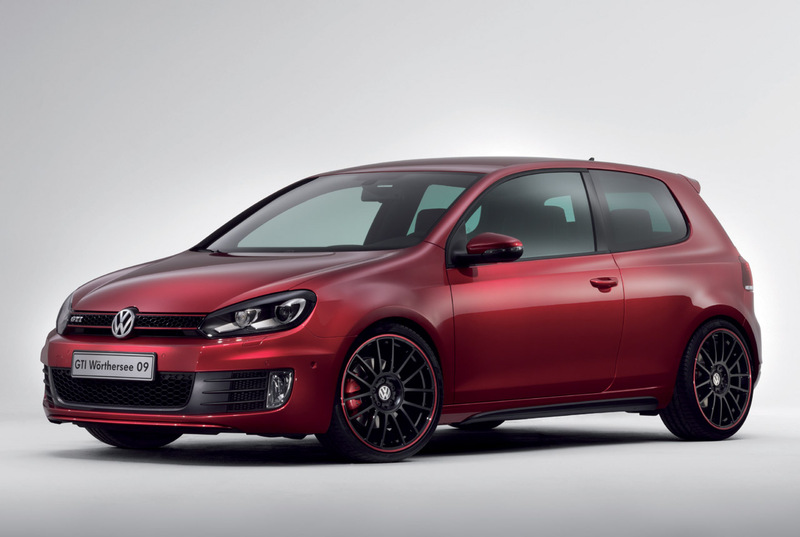 This time Volkswagen has brought along two sensational concept cars of the new bestsellers: special “Wörthersee 09” editions of the Golf GTI and Polo. It is fire-red and a real eyecatcher. Inside and out, the Golf GTI “Wörthersee 09” combines charming and unique visual looks with an even higher level of performance – it embodies precisely those elements that have always excited genuine GTI fans. Consider the exterior paint, for example. It shimmers in the special glowing red color “Firespark Metallic”, which is repeated as a fine trim line on the high-gloss black 19-inch alloy spoke wheels and in the classic GTI stripes of the radiator grille screen. Other very distinctive body details: an entirely new smoked LED taillight design; its unmistakable graphic design from the rear adds to the Golf GTI concept car’s independent character. 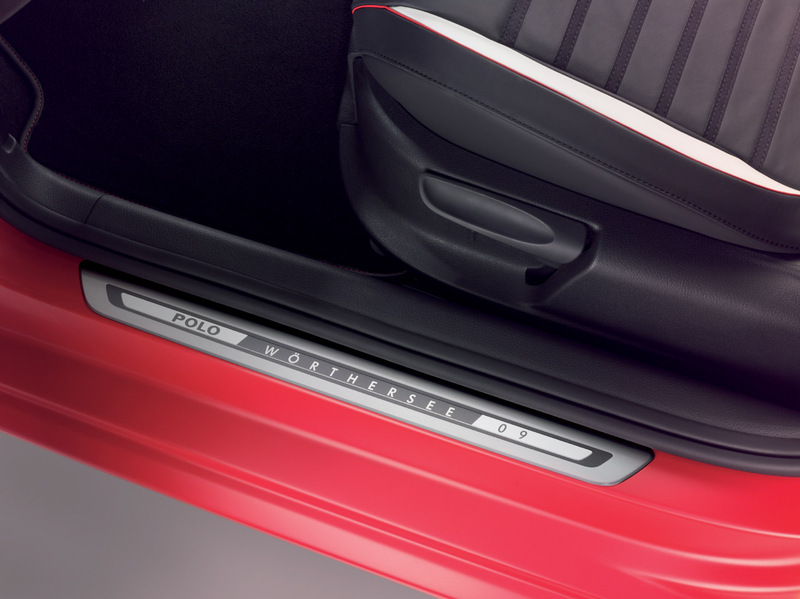 Full of style, the interior of the two-door GTI is inviting too. Initial eyecatchers: high-end aluminum tread plates with “GTI Wörthersee 09” signature. The next special feature: trim in brushed aluminum and glossy black painted frames around the air vents. The floor mats have red borders as well. All of this makes an exceptionally refined impression and calls attention to the sporty talent of the legendary “GTI” even more. The newly designed sport comfort seats with their integrated head restraints are an absolute interior highlight. They excite with innovative cover materials and a fresh color composition. This includes black nappa for the outer surfaces and flash red nappa for the seat side supports, bordered by light “Berry White” leather piping. The seat center panels are made of Hexagon; one feature of this high-tech material, which is so pleasant to the touch: its exceptional breathing properties. GTI drivers in particular know that form follows function. The “Wörthersee 09” Edition not only pleases with its tasteful style, it was also intensified technically in the direction of performance. The lowered sport chassis enables maximum curve speeds. And the acoustics is not short-changed either: the new sport exhaust system provides for an extra measure of dynamic sound. This will be music to the ears of genuine GTI fans. 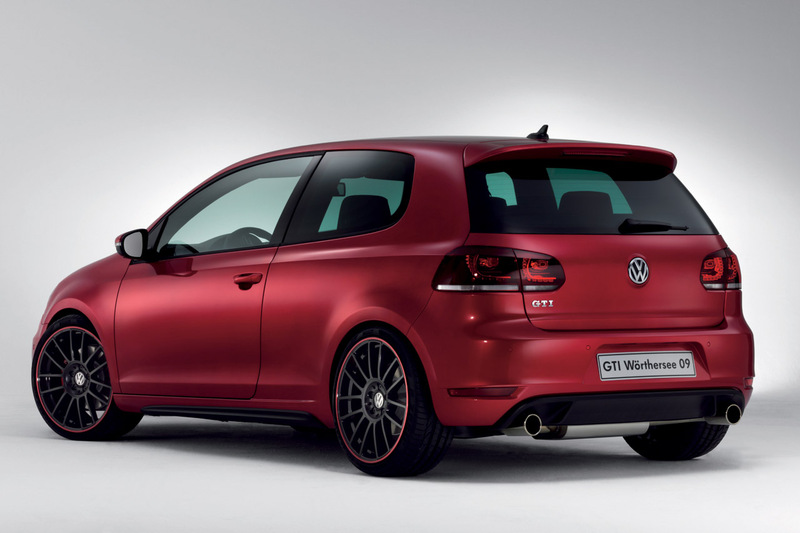 When it comes to the turbo engine, the GTI “Wörthersee 09” relies on the new 2.0-liter TSI with 155 kW / 210 PS. This gives the concept car a top speed of 238 km/h and 6.9 second acceleration to 100 km/h. 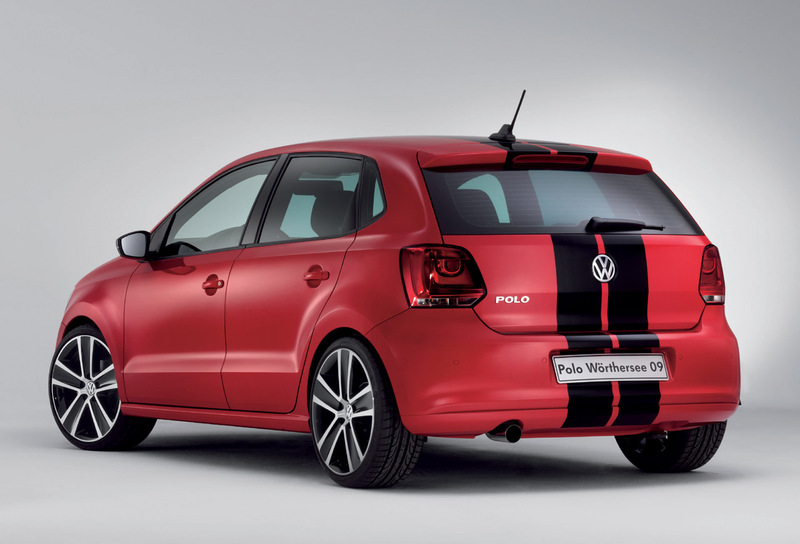 Just like the Golf GTI Edition, this Polo stands out with its extroverted “Flash Red” body color. In addition, two black rally stripes command attention; they extend over the front end, the roof and back to the rear. The sporty, generously sized alloy wheels are the last detail. The black 18-inchers in “Budapest” styling are making their appearance with polished spokes; they generously fill out the wheel housings of the lowered chassis of the new bestseller – more than 13,000 orders have been received, even before its market launch. The black versus red contrast can be seen as a defining, excitement generating theme. The radiator grille screen, mirror caps, backdrop of the headlights and insert in the lower bumper known as the “buckle” all offer a dark contrast. And the sport exhaust system pleases with its optimized sound. Premium black also characterizes the interior. It takes a path from the roofliner over the air vents – each with a high-gloss finish – the steering wheel accents and radio panel down to the very distinctive front seats. They are made of very high-end materials. Black nappa leather trims the outer surfaces and the center seat panels where they are offset by horizontal black stripes in the microfiber “San Remo”. 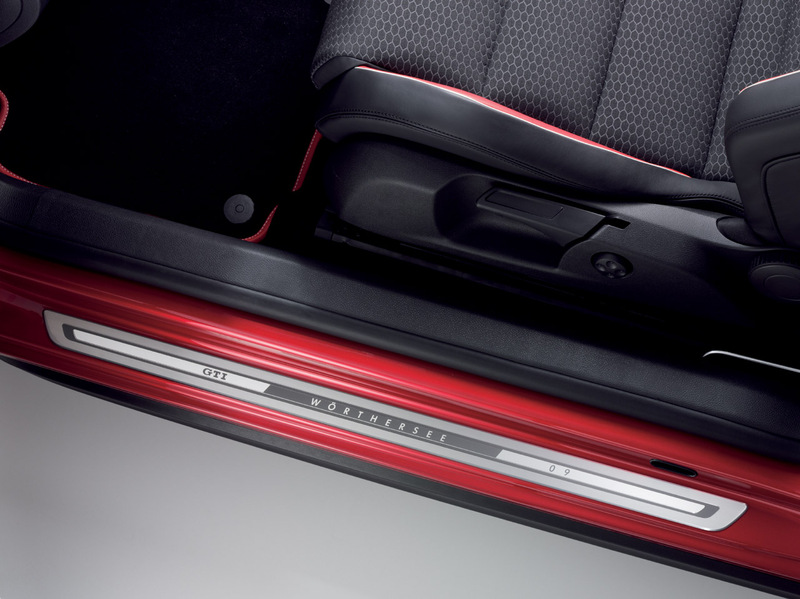 The seat’s lateral supports have an arc-shaped striped design which – viewed from outside to inside – is composed of nappa leather, flash-red nappa leather piping, the white leather “Berry White” and black leather. The aluminum tread plates are also a custom feature. Similar to the Golf GTI concept car, they bear the signature “Polo Wörthersee 09”. Red seams also enhance the leatherwork on the parking brake handle, gearshift grip, steering wheel and door trim. Volkswagen Accessories will also be astonishing visitors with attractive new products on the occasion of the GTI Meet at Wörthersee. Two innovations stand out: the “Bobsy G2-3 pro GTI-Design” child seat – covered with the original material of the GTI seats (“Jacky” pattern) – gives fans of the sports car icon the option of taking their progeny along with them in the GTI, not only safely but in genuine style. Thanks to its adjustable-width seat cushion and sleeping support, it is ideal for children between three and twelve years old (15 to 36 kilogram body weight). The seatbelt is routed snugly to the body and offers optimal protection. The special head section, lateral support panels that extend far forward and full coverage of the shoulder area guarantee a high level of comfort and safety in case of a side crash. Also new is the GTI cell phone. The SonyEricsson T700 GTI Edition cell phone is a perfect match for the legendary model from Wolfsburg when it comes to sportiness and exclusivity. Along with the display logo and brushed aluminum surface, all menuing is styled after GTI design. There is even a special GTI sound ringtone. And the integrated 3.2 megapixel camera with 3X digital zoom is ideal for capturing the most beautiful images of the GTI-Meet at Wörthersee for eternity on its 25-MB memory card. Καλή Χρονιά και Ευτυχισμένο το 2019!